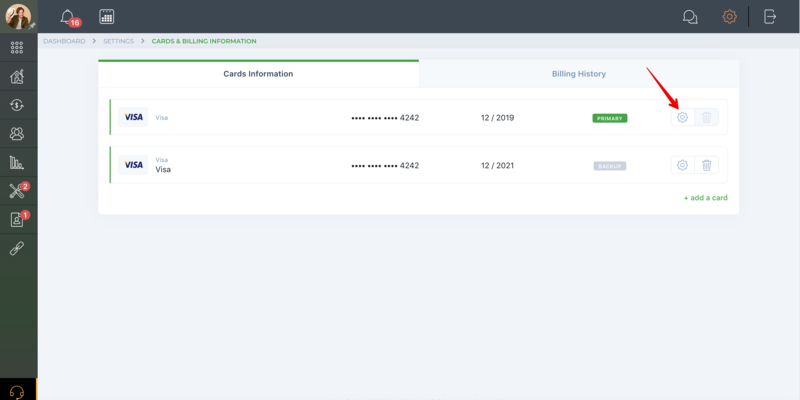 Help Center - How do I view my saved cards? To view your credit card information, please open “Cards & Billing Information” from the Profile Settings page. If you are the main account holder, your credit cards are not shared with the team. How do I remove a saved card? 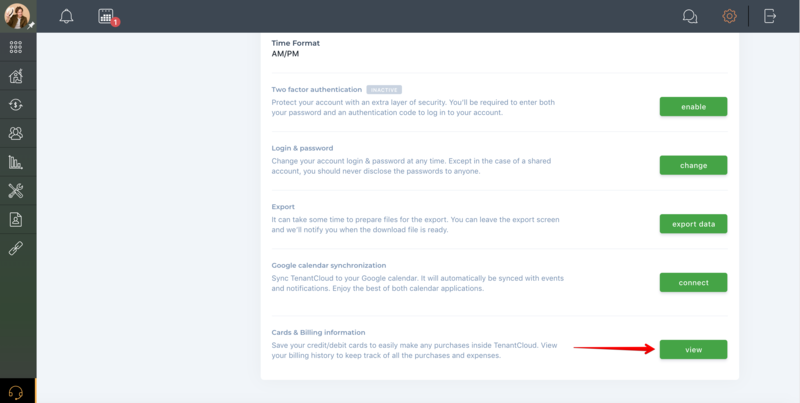 How do I save a card for purchases inside TenantCloud?